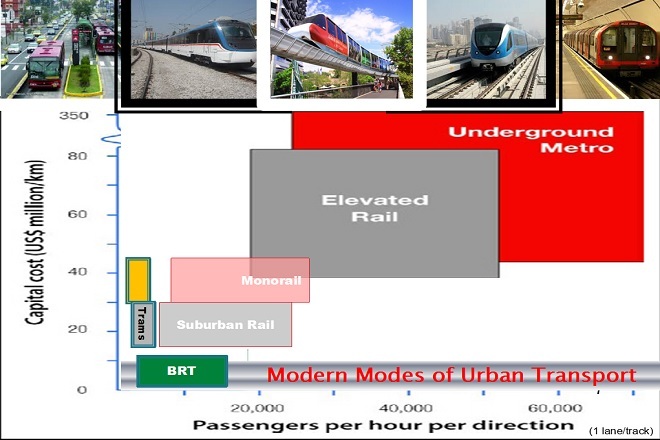 Nov 05, 2015 (LBO) – From an economic standpoint, Sri Lanka should first develop its bus and railway transportation before spending public money on more expensive monorail, transport sector experts said at the LBR LBO Infrastructure Summit. A Japanese transportation master plan for Colombo, upgraded and approved by University of Moratuwa, envisaged three alternatives for each major traffic route coming in to Colombo. “None of the corridors had monorail coming in as the first priority, or even the second priority,” Lalithasiri Gunaruwan, senior lecturer on public economics at the Colombo University, said. 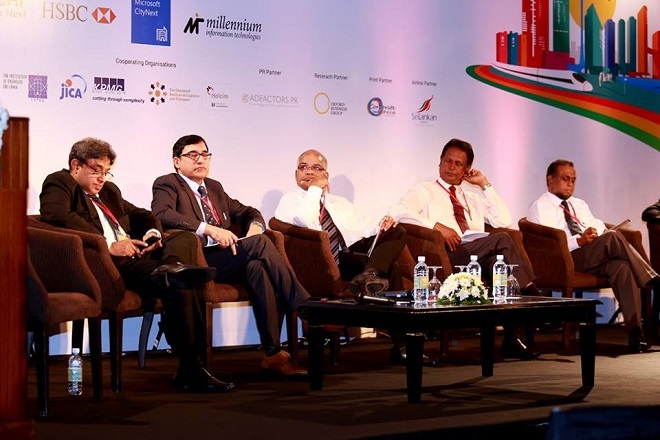 Gunaruwan was speaking at the LBR LBO Infrastructure Summit 2015: Making Colombo a Globally Competitive City. The transportation plan envisaged a Bus Rapid Transit (BRT) system for the Galle Road, railway electrification for the Negombo to Colombo corridor, and bus priority followed by railway electrification for the Malabe corridor. “When we have two economically advantageous alternatives, why we are looking for a third alternative is a question for me,” Gunaruwan said. “But I still don’t have any objection if monorail is so attractive, if monorail is completely privately funded. And they should be able to do it if it is so financially attractive,” he said. The issue hinges on whether investment in monorail is partly financed by the government or whether the private sector makes the necessary investment. Clearly, taxpayers’ money has to be spent wisely given that Sri Lanka consistently runs a government financing deficit. The Board of Investment recently said it was calling for proposals for investment in monorail or a MRT system from the private sector, with an estimated cost of around 1.9 billion dollars. Typically the private sector will need incentives to manage such an investment which may be in the form of real estate development. The transportation master plan recommended the modernisation of the existing railway network and further investment in Bus Rapid Transit, but these proposals are yet to be meaningfully acted upon. Railway lines can be laid out at less than one million dollars a kilometre by Sri Lanka Railways, while highways cost around seven million dollars a kilometre, Gunaruwan said. The cost for rail lines, with recent Indian and Chinese contractors, went up to 2.5 million dollars per kilometre, while the cost for monorail is estimated at 35 million dollars per kilometre, he said. A dual carriage railway to Battaramulla can be “completed in no time” if the government gives the green light as it is feasible and the ADB is ready to finance it, he added. “Sri Lanka Railways can do it and has proven that they can doing it, he said. Analysts argue that if the government is interested, credit facilities from multilateral donors are available and can be utilized, although governments have instead opted for negotiated and non-transparent government to government contracts. Colombo requires a world class public transportation system, and it’s time we demand this, Amal S Kumarage, head of the Department of Transport & Logistics Management, University of Moratuwa, said at the Summit. “I think it’s time we stopped blaming politicians and start demanding whats good for us through them,” Kumarage said. A cabinet paper for electrification of railway was put forward in 2008 as well as three months ago, but they have not been approved. In addition, railways can reduce the bowsers on the road transporting fuel if an Internal Container Depot is built, but that proposal too has been languishing, Gunaruwan said.